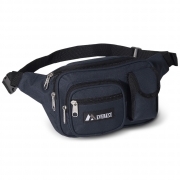 Large sized waist pack. 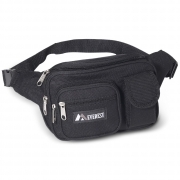 Three zippered compartments and a small front flap pocket. Adjustable length snap waist buckle. See the video for bag dimensions below.